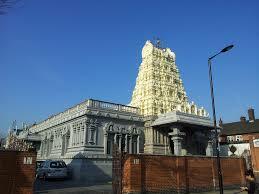 London Sri Murugan temple dedicated to Lord Murugan was started in 1975. 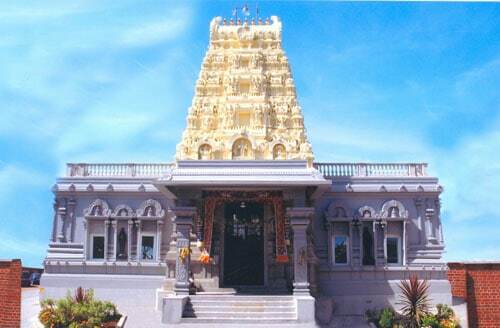 This temple has been built with a South Indian architectural style. 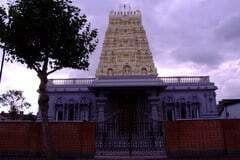 It has three main inner temples for Sri Ganapathi, Sri Murugan and Lord Shiva. The new temple was open in August 2006 with its Kumbabishekam. Devotees intending to go on Sabarimala pilgrimage are to observe vratha (austerity) for 41 days for darsanam during the Mandala puja at Sabarimala. Mandala pooja means pooja done for the period of a Mandala. A Mandala is of 41 days.This year the Mandala puja culminates on the 17.11.2014. For Sabarimala the Mandala period starts on the 1st day of Malayalam month Vrishcikam (generally falls at the beginning of the 2nd half of November) till around the 25th to 27th of December. 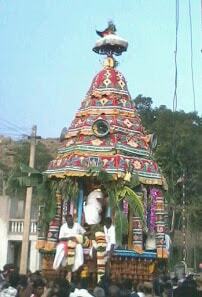 The vrathas starts with the devotee putting on the Thulasi Mala or Rudraksha Mala with a dollar of Lord Ayyappan in it. After wearing the Mala the most important aspects of the vratha is the strict adherence to abstinence, avoiding all sorts of sensual pleasures, maintaining extreme purification of body and mind of the devotees. They have dress code to observe so that they are identified as the Ayyappan devotees and others take care not to do things which may interfere with the purification process of the devotees.